The Stevie® Awards have announced the winners of the Best of the IBA Awards in The 2017 (14th annual) International Business Awards, the world’s premier business awards competition. Nominees in the 2017 IBAs were not able to apply for the Best of the IBA Awards directly. Winners were determined by a points system based on the total number of awards won in the IBAs with a Gold Stevie win counting for three points, a Silver Stevie for two points and a Bronze Stevie win for one-and-a-half points. This year’s Gold, Silver and Bronze Stevie Award winners in The International Business Awards were announced on 10 August. The winners of the Best of the IBA Awards will be presented with Grand Stevie Award trophies at The 14th Annual International Business Awards banquet at the W Hotel in Barcelona, Spain on 21 October. Most Honored Organization: With 120 award points earned by Gold, Silver and Bronze Stevie-winning entries submitted by affiliated agencies and offices around the world, the global communications consultancy MSLGROUP is the winner of the Grand Stevie Award trophy for Most Honored Organization of the year. MSLGROUP earned Stevies for the work done by offices from Canada, China, India, Japan, the USA and other nations, for clients as diverse as home improvement retailer Home Depot, Chinese electronics giant Huawei, and Indian consumer goods manufacturer Marico Ltd., among others. Most Honored Public Relations Agency: With a total of 77 points earned by Gold, Silver and Bronze Stevie-winning entries submitted by their agencies and offices in Latin America, Spain and the USA, communications consultants LLORENTE & CUENCA is the winner of the Grand Stevie Award trophy for Most Honored Public Relations Agency of the year. Most Honored Marketing Agency: With a total of 38.5 points earned by Gold, Silver and Bronze Stevie-winning entries on behalf of clients, South Korean marketing agency HANAROADCOM is the winner of the Grand Stevie Award trophy for Most Honored Marketing Agency of the year. Most Honored Interactive Services Agency: With 23.5 points for Stevies won on behalf of clients including L’OCCITANE, Sino Hotels and Watsons Water, Hong Kong-based PRIZM is the winner of the Grand Stevie Award trophy for Most Honored Interactive Services Agency of the year for the second year in a row. Top 10: These are the top Gold, Silver and Bronze Stevie winners among all other organizations honored in the 2017 IBAs. They’ll also be presented with Grand Stevie Award trophies. Gold, Silver and Bronze Stevie Award placements in the 2017 IBAs were determined by the average scores of more than 200 professionals worldwide in the three-month judging process. For more information about The International Business Awards, including a complete list of all Stevie Award winners in the 2017 competition, visit www.StevieAwards.com/IBA. August 28 is the entry deadline for the 2013 (10th annual) Stevie® Awards for Women in Business, the world's premier business awards for women executives, entrepreneurs, and the organizations they run. If you haven't already done so, you can request an entry kit here and it will be emailed to you right away. The entry kit contains all of the information you'll need to be able to prepare and submit entries. 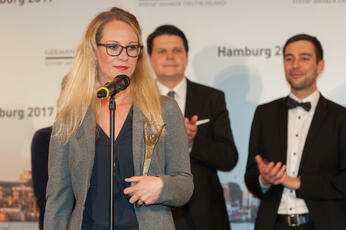 All female entrepreneurs, executives, and the organizations they run, worldwide, are eligible to be nominated. The Stevie Awards for Women in Business feature more than 80 categories to recognize achievement in many facets of worklife. Business award categories include entrepreneur awards, executive awards, management team awards, company of the year awards, PR awards, marketing awards, new product awards, website awards, app awards, and more. The eligibility period for 2013 entries extends from July 1, 2012 - your entries should describe achievements since that date. The only exceptions to this rule are the Best New Company, Lifetime Achievement, and web site categories - there is no eligibility timeframe period for these categories. You can begin by registering here. We've also just published a new video entitled "How to Enter the Stevie Awards for Women in Business" to help you make the most out of your entries. Watch it here. If you can't make the August 28 entry deadline, September 25 is the last day that entries will be accepted with payment of $35 late fee per entry. 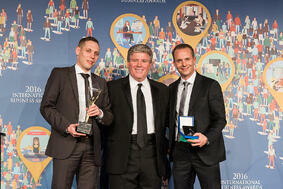 Finalists will be announced on October 9 and 2013 winners will be celebrated at an awards gala on November 8 at the Marriott Marquis Hotel in New York City. Don't hesitate to contact us with questions regarding the 2013 Stevie Awards for Women in Business. Email us at help@stevieawards.com or call us at + 1 703-547-8389 and we'll get back to you right away. The entry kit contains all of the information you'll need to be able to prepare and submit entries to this year's awards. All entries are submitted online. Select your categories, write your submissions according to the instructions, and submit your entries. The eligibility period for 2013 entries extends from July 1, 2012 - your entries should describe achievements since that date. The only exceptions to this rule are the Best New Company, Lifetime Achievement, and web site categories - there is no eligibility timeframe period for these categories. You can begin by registering here. If you can't make the July 24 early-bird entry deadline, August 28 is the entry deadline, and September 25 is the last day that entries will be accepted with payment of $35 late fee per entry. Finalists will be announced on October 9 and 2013 winners will be celebrated at an awards gala on November 8 at the Marriott Marquis Hotel in New York City. Winners of the most recent edition of the Stevie Awards for Women in Business included Andrea Fishman, BGT Partners (Female Executive of the Year), Isabel Noboa de Loor, Consorcio Nobis (Female Entrepreneur of the Year in Mexico, Central & South America), Kristin Luck, Decipher, Inc. (Women Helping Women), Kim Petersen, DHL Global Forwarding (Female Employee of the Year), Friends of the Global Fund Africa (Organization of the Year), Leverage a Lawyer LLC (New Company of the Year), Sentis Pty Ltd (Most Innovative Company of the Year), and Vaco Los Angeles (Fastest Growing Company of the Year), among others. A complete list of 2012 honorees is available at www.StevieAwards.com/Women. 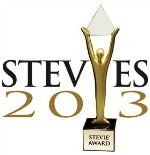 Have last minute questions regarding the 2013 Stevie Awards for Women in Business? Email us at help@stevieawards.com or call us at + 1 703-547-8389 and we'll get back to you right away. 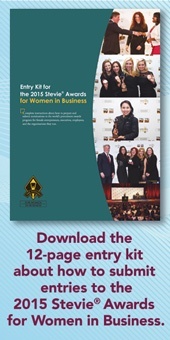 Wednesday, July 24, is the early-bird entry deadline for the 2013 (10th annual) Stevie® Awards for Women in Business, the world's premier business awards for women executives, entrepreneurs, and the organizations they run. If you haven't already done so, you can request an entry kit and it will be emailed to you right away. The entry kit contains all of the information you'll need to be able to prepare and submit entries. The eligibility period for 2013 entries extends from July 1, 2012 - your entries should describe achievements since that date. The only exceptions to this rule are the Best New Company, Lifetime Achievement, and web site categories - there is no eligibility timeframe period for these categories. 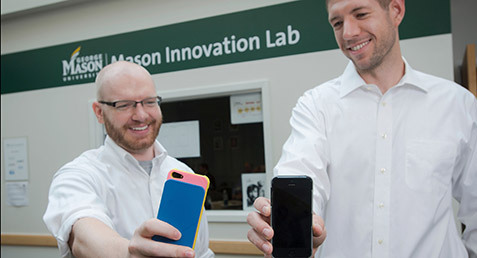 You can begin by request an entry kit here.